400 Gradi has come a long way since its sole, AVPN awarded pizzeria on Lygon Street. Just over ten years on, they can now be found across Melbourne, Adelaide and even on P&O’s Pacific Explorer cruise ship. The essence remains – traditionally made pizza, pastas and rich Italian desserts. Ringwood’s Eastland shopping centre, does not seem like a fitting spot for such a well-established and renowned eatery. But then you might not have been to Eastland. The large courtyard, lined with restaurants, bakeries and ice-cream are hidden from the view of the large shopping centre complex. 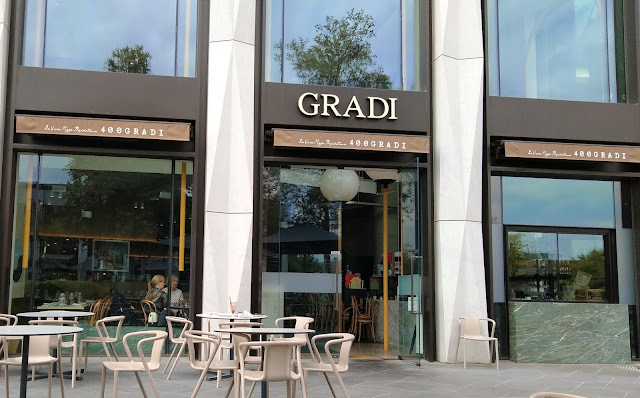 And a table (inside or out) at 400 Gradi, will be as pleasant as any. The food is still good. The service is perhaps friendlier and more relaxed than at the busy Lygon Street shop front. And the table settings and décor come with a slightly more sophisticated feel than the original restaurant. The pizza is always delicious here. 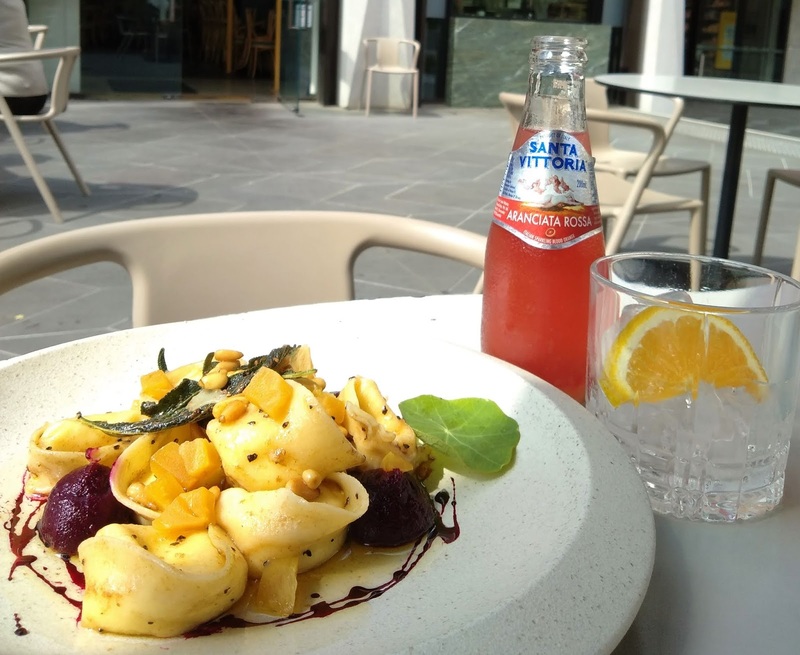 Vegetarian options include their award-winning Margherita (world’s best pizza 2014), the Toscano with mushrooms and goats’ cheese, Napoletana, Suprema with pumpkin and and pinenuts, Ortolana, and four cheeses. Pastas include ricotta tortelli and Napoli gnocchi. There is also a chestnut and porcini risotto for those who are gluten intolerant. Above is the tortelli. This was made with fresh, hand-made pasta, filled with subtly flavoured ricotta. Small cubes of golden, heirloom beetroots and pureed burgundy ones give the dish beautiful colours, as does the crispy fried sage, which has been lightly salted. The main flavours are in the sage, brown nut butter and toasted pinenuts on top.